Spa-Tech Spa Repair wants to remain the leader in the field of spa repair. That's why our technicians continuously receive factory training and education on the latest spa and hot tub repair techniques, and that's why we maintain our own warehouse inventory of all the necessary repair parts. We're committed to providing expert service to all of our Orange County customers, and we send out only experienced technicians who are properly qualified, equipped and prepared to repair your hot tub or spa. Find out why for over 25 years, Spa-Tech Spa Repair has been Orange County's go-to source for local spa and hot tub repairs. 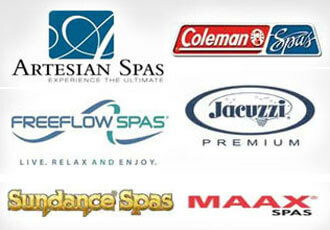 Call Spa-Tech Spa Repair today for your spa and hot tub repair needs. Our business is licensed and insured, and we service the entire Orange County, California area. I hope to know Jim sooner to save my money and time... He is "get it done the first time" thank you very much Jim...we enjoy the hot tub now! !